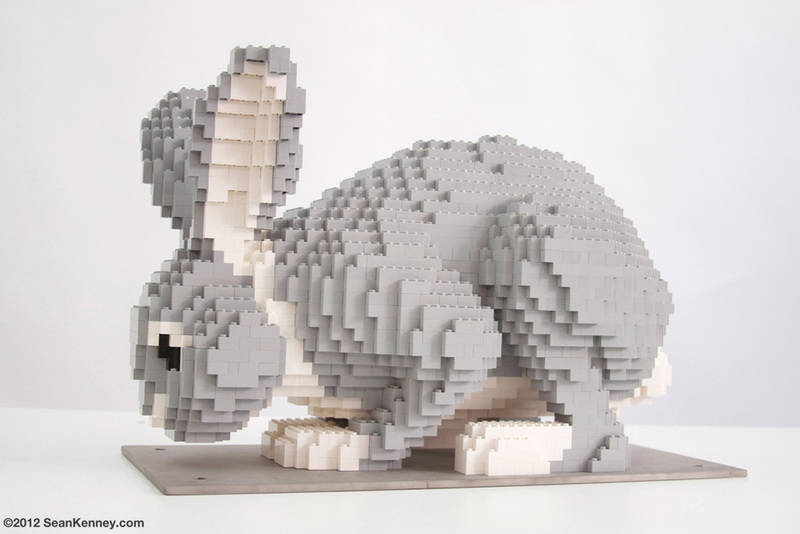 This giant sculpture of a rabbit is nearly 2 feet long and contains 1,361 LEGO pieces. He was built together with a giant fox, cunningly stalking the poor little fellow down. The sculpture took over 20 hours to design, build, and glue, together with my assistant Jung Ah. 1,361 LEGO pieces are glued and mounted to a steel base to fasten the sculpture to the ground onsite.